I have been invited by the Artistic Director, Judith Choi Castro to participate in the International Chamber Music Festival and Academy of Music, Tenerife in February 2018. I will be attending the Augustìn Ponte International Music Competition as a member of the competition jury from 10-13 February, and from February 14-18 I will be giving cello and chamber music tuition and also offering coaching for cellists wishing to play in sessions for cello ensemble. The festival promises to be a fine opportunity to immerse yourself in listening to, studying and playing music. Whether you are a player or you simply want to come and enjoy the feast of music-making on offer as an observer, it all takes place right on your doorstep in the lovely surroundings of the Aguamarina Golf Hotel. It’s a chance to soak up some winter sun too in a wonderful atmosphere surrounded by musicians and music-making. Everyone is welcome! The competition is open to pianists and string players up to 32 years old. Last year’s special prize was awarded to cellist Timothée Botbol, who assisted me with teaching at Cellos at Belle Serre in 2016. There are master classes for a range of instruments taking place throughout the festival. My classes are open to cellists of all levels of experience; whatever your ability, come and enjoy a few days of lessons, coaching and concert-going. 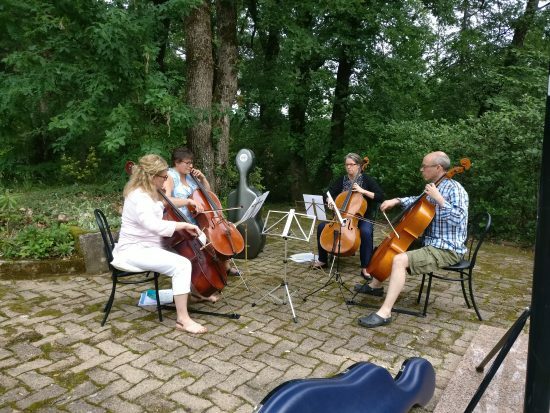 If you’re interested in cello ensemble playing, please do contact me via e mail and I will aim to coordinate duos, trios and quartets sessions for you. 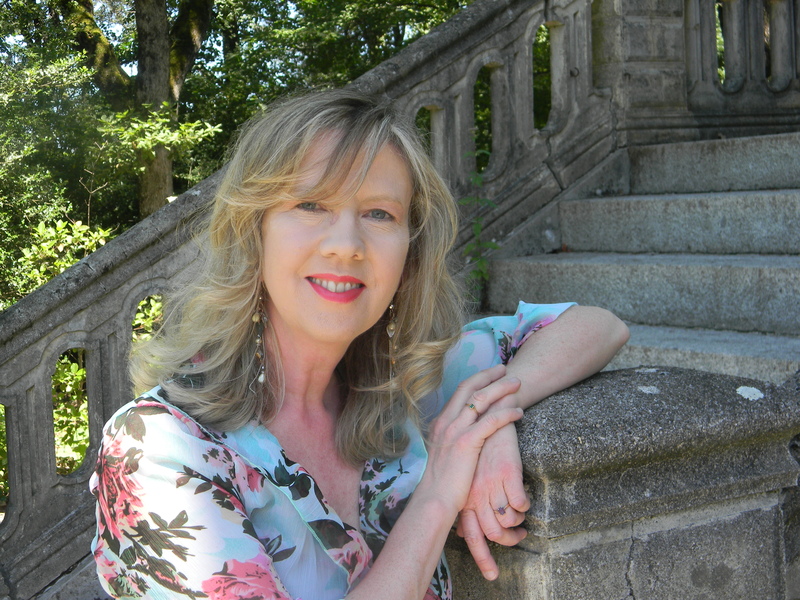 In the evenings there are chamber music recitals given by colleagues of violinist and artistic director Judith Choi Castro, (also a regular and highly popular chamber music tutor at Cellos at Belle Serre). There are also informal daytime concerts given by the students taking part in the various master classes. I would be delighted if you were interested in joining me for what promises to be an excellent festival of music-making, study and superb concerts. 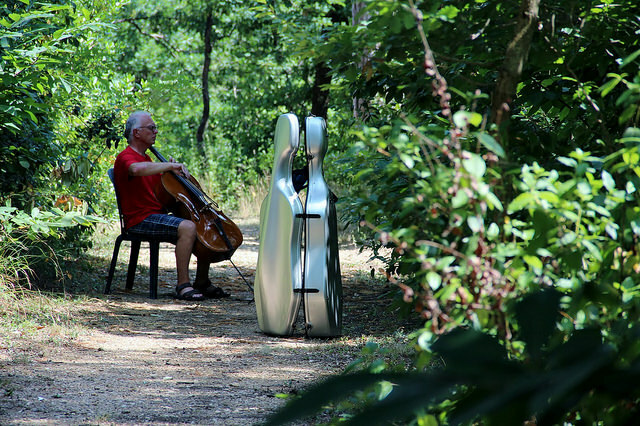 So, here’s a challenge to the summer cellists of Belle Serre…..the gauntlet is down! Throwing down the gauntlet? Well, with our twelve cellists at Belle Serre at Week 1 of the Cellos at Belle Serre summer courses, and if we can ‘twist the arms’ of our chamber music tutors, clarinettist Mark Lacey and pianist Camille Galinier to join us on the ribs or table, and perhaps even invite our chef Bob to play the ‘scroll’ or ‘spike’ part, we could have the makings of a challenge to all play on one cello à la Carrington Brown and friends. Bravo Rebecca and co, a brilliant performance! Over to you, Bernard O’Neill – a possible idea for your introduction to improvising on the cello afternoon in Week 1…..? And, in Week 2, us eleven cellists could join forces with violinist tutor Judith Choi Castro, pianist Andrew Wilson-Dickson, our two visiting gamba players and our two chefs Bob and Rob – that’s seventeen and counting…..what do you think, folks?? Catch the wonderful Rebecca Carrington and Colin Brown in one of their musical comedy cabaret shows live or on youtube for some sparkling entertainment. 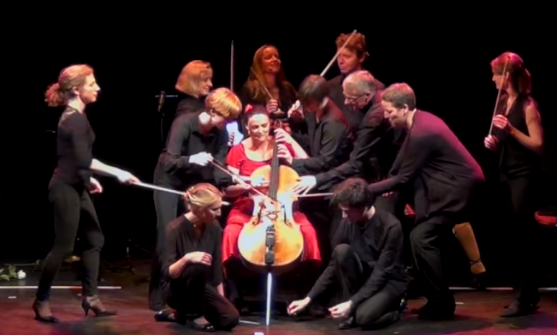 Have cello, have fizz and fun…. 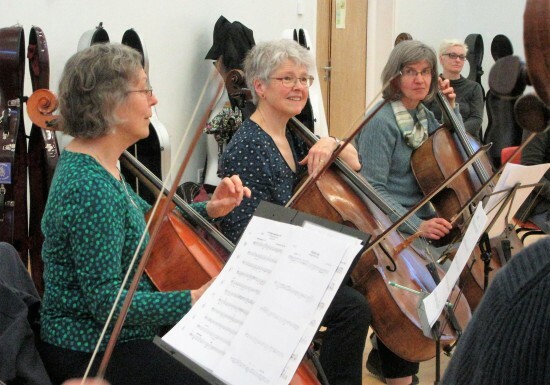 Talking of cello fizz and fun, the summer courses are nearly here, just a few weeks to go. 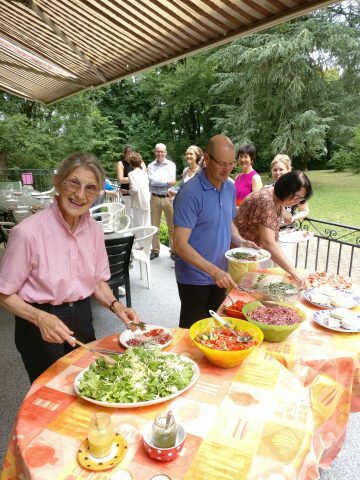 I’m very much looking forward to welcoming old friends and new to Belle Serre, from Canada, France, the UK, Spain, Norway, Switzerland and Ireland for two weeks of intensive study, and intensive relaxation too! A très bientôt! 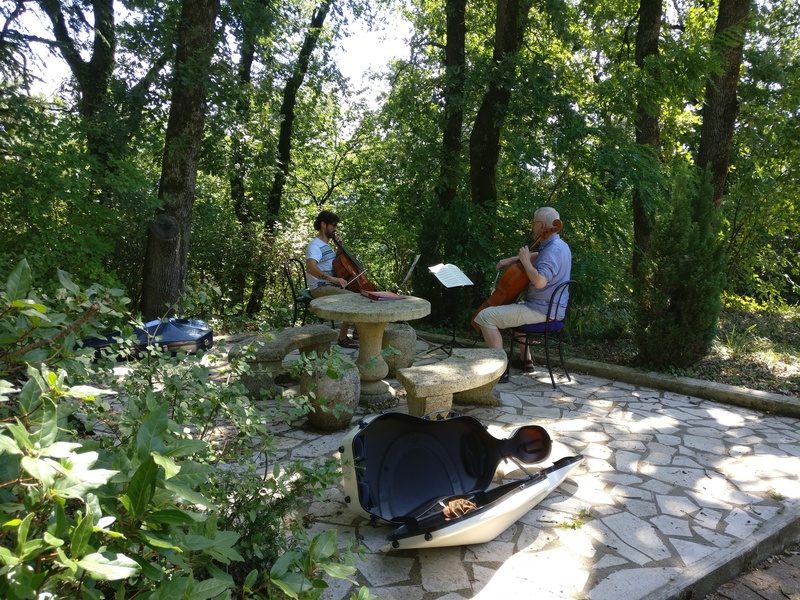 Southern summer sun at Belle Serre and autumn cello days in the UK…. 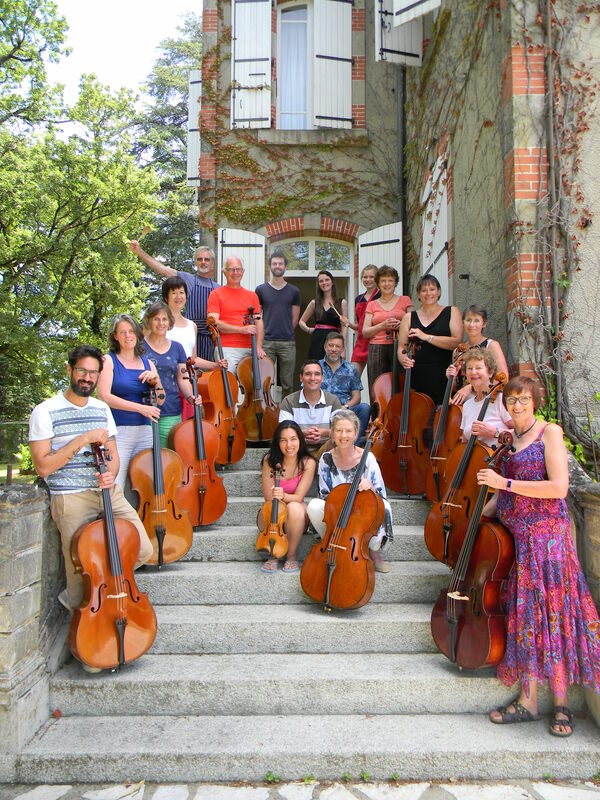 With study visits and summer cello courses getting under way here at Belle Serre in SW France and cellists flying in from the USA, Canada, Spain, France, Ireland, the UK, Holland and Norway, I’m also very much looking forward to two autumn cello days in the UK, one in Hampstead, North London on Saturday 14th October 2017 and the other in Winchester, Hampshire on Saturday November 18th 2017. Click on these links for full details of the two autumn cello days: Hampstead Cello Day 14.10.17. Bookings are open for both days; please contact me via this site or via lowri.blake@gmail.com to reserve your place for the Hampstead Cello Day. To reserve for the Winchester Cello Day please contact Dr L Pearce via email (pearcel@doctors.org.uk) also copying me in to the message, thank you. 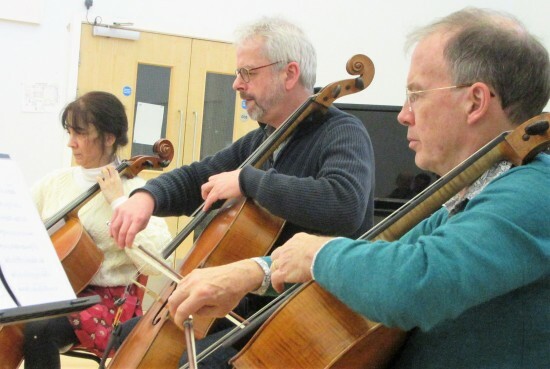 It is advisable to book as early as possible to ensure your place on one or both of the cello days, particularly if you wish to perform in the master class sessions. 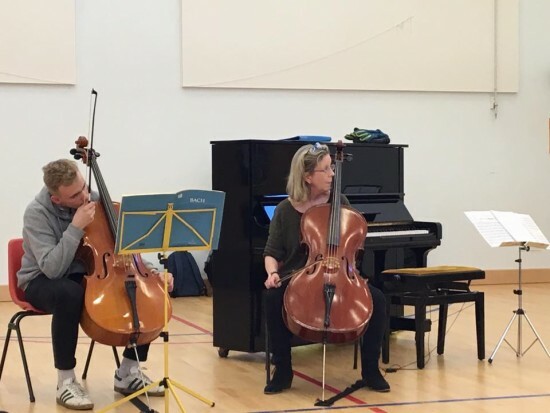 Each of the cello days will comprise technical workouts and a cello clinic for finding imaginative ways to practise, an afternoon master class, with cello ensemble sessions both in the morning and in the afternoon to round off a full, intensive and fun day of all things cello. 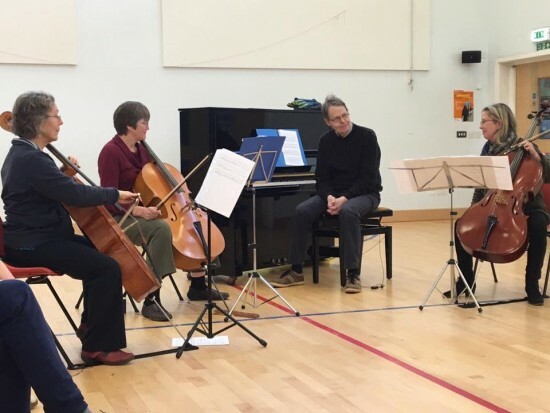 We will be working on different technical aspects and ensemble repertoire at each of these cello days, so if you are able to come along to both, you will have opportunities to play a wide variety of repertoire and work on a range of fresh ideas for your practice – do come and join us! 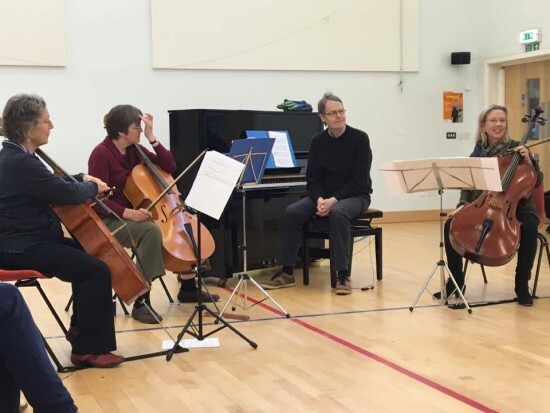 “A brilliant day!” was just one of the very positive messages I received after an intensive and very happy cello day in Cambridge last weekend. Fifteen of us met up for cello ensembles and a technical workout in the morning, followed by an afternoon master class in which four players performed a wide variety of repertoire (some of it new to many of us, including a delightful piece by Arensky and a little known concerto by John Garth), and we rounded off our day revisiting the cello ensembles and giving an informal playthrough performance to family and friends. “I’m finding your ‘crab-walk’ scales completely fascinating!” wrote one player to me about our work on ways to practise technique and exercises imaginatively, and “I learnt a lot and you were very positive with us all!” wrote another. My thanks to the CAMS Music Trust for inviting us to meet in Cambridge. I look forward to the next one – dates to follow shortly. Meanwhile, I will be holding our second Hampstead Cello Day at the Free Church in Hampstead Garden Suburb on Saturday October 14th 2017, and a Winchester Cello Day on Saturday November 18th 2017. Full details to follow on this blog and please do contact me via this website if you are interested in participating in future cello days. 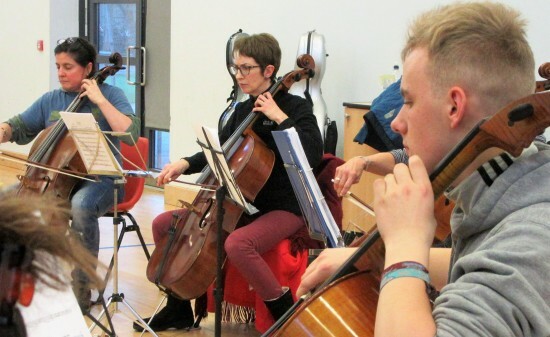 There are still a few places available for the Cambridge Cello Day on Sunday March 5th. Do come and join me for a fun day of cello playing: a technical workout, practice tips and cello ensembles in the morning, an afternoon master class, and we’ll be rounding off the day with polishing and performing our favourite pieces from our ensemble work. Please contact me via e mail if you would like to take part. “It was lovely to escape to your beautiful home and spend time making music with great people”. “Thank you for the marvellous week I spent at Belle Serre. You were all so welcoming and the organisation from pre-course information to farewells on the last morning was impeccable. 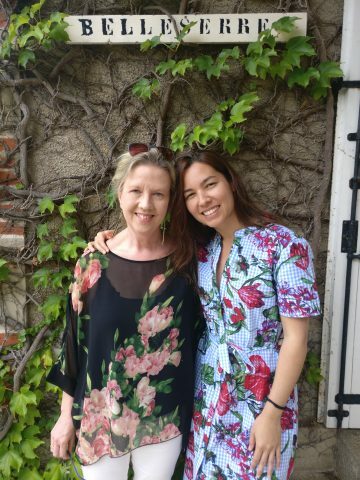 I ate delicious food, relaxed in your beautiful garden, thoroughly enjoyed the morning cello ensemble sessions, and, last but not least, found inspiration from the coaching and teaching in such a calm, supportive environment”. 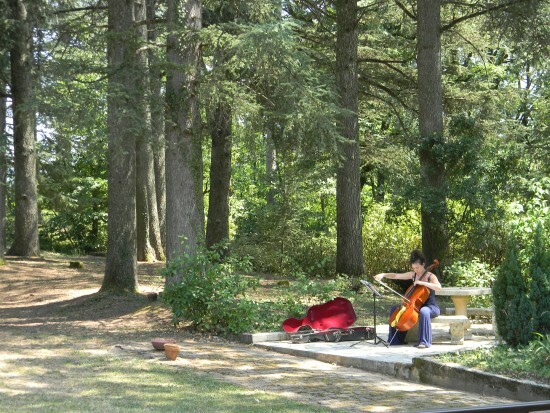 “What a wonderful week of cello playing at beautiful Belle Serre. As usual, Lowri managed to make me feel totally relaxed and any feelings of tension in my playing evaporated straight away. 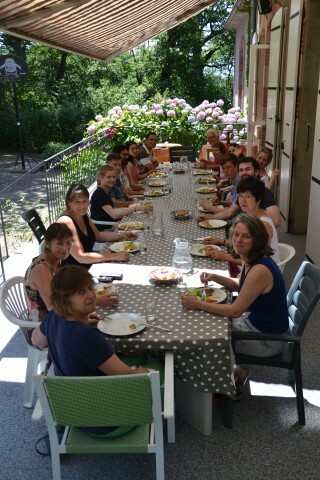 Lovely people to make music with and scrumptious food made this week unforgettable. Thank you for an amazing experience”. “I will never forget this wonderful experience you provided at CBS. It was really inspiring to listen to your teaching”. Cellos at Belle Serre Summer 2017 – bookings are now open! 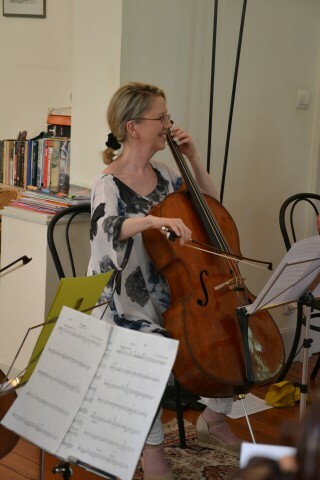 Come on down to sunny Castres in SW France and enjoy one of our fabulous cello courses at Belle Serre next summer. Bookings are now open for the two July courses: Week 1 runs from July 5-12 and Week 2 from July 16-23. 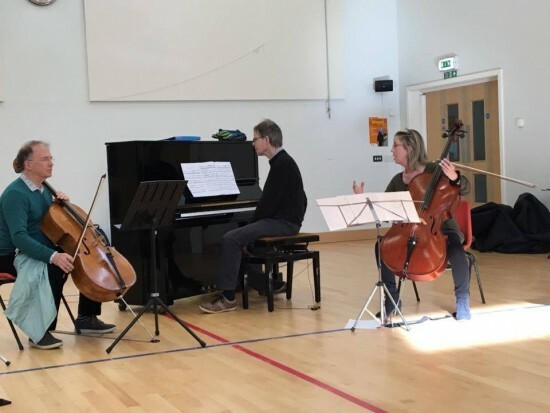 Check this blog for regular updates and the latest news about what’s happening on the two July 2017 cello courses, our end of course concert dates, and news about our superb team of cello, piano and chamber music tutors. 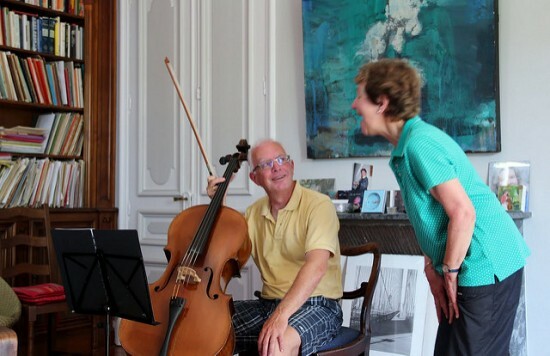 News too coming shortly about our four and five day courses, bespoke courses, master classes and cello days both here at Belle Serre and abroad. See you next summer, à bientôt! 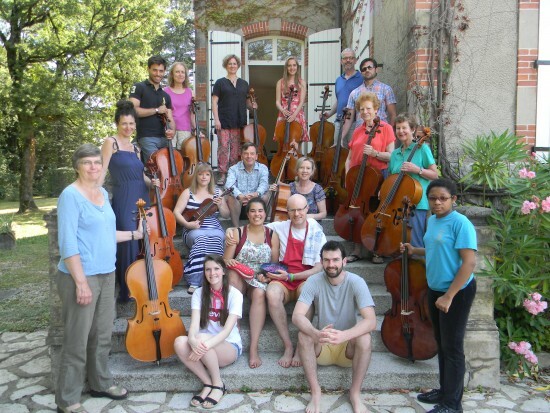 Three very happy and successful summer cello courses at Belle Serre have just come to an end. Huge thanks to everyone who took part – our cellists, tutors, cooks and helpers – three weeks of beautiful music-making, wonderful food, super concerts, all in great company and, as ever, full of joy and laughter. Here’s a link to photos of the courses on flickr.